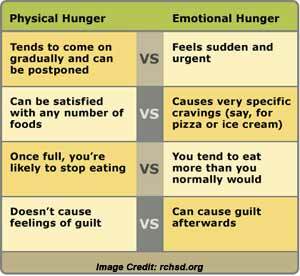 What Is Emotional Hunger & How Does It Differ From Physical Hunger? A lot of people today are overweight or obese simply because of eating too much and consuming too much calories. We don’t just satisfy hunger but at many times turn to food for comport, releasing stress or as a reward. The problem is that emotional eating just satisfies you temporarily but it doesn’t fix any emotional problem. In the end, the person will typically feel worse. In this article, we will be taking a close look at emotional hunger and look at its difference from physical hunger. Also, we will be taking a look at how emotional hunger can be effectively treated which is beneficial for weight loss and overall health. Most people have experienced emotional eating like the time you at a pint of ice cream while watching television after a breakup or stressful day at work. Emotional eating is basically using food to lift your mood and feel better. It is okay to use food as a mood lifter, reward or celebration but when it becomes the primary emotional coping mechanism of the person, this is a serious problem that can have implications on your health. 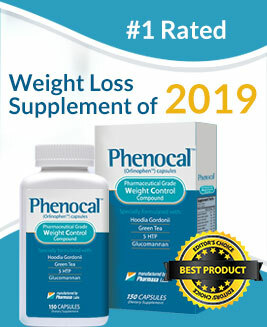 Also, you will gain weight and eventually become overweight or even obese. Emotional Hunger is Sudden – It hits you instantly and there is a feeling of urgency. It is overwhelming in many cases making it difficult to resist. On the other hand, physical hunger is gradual and the urge to consume food isn’t dire unless you have not consumed anything in a long time period. Emotional Hunger Involves Comfort Foods – With physical hunger, almost anything is okay to satisfy you but with emotional hunger, you tend to crave for unhealthy food items like those that are salty and fatty. You have a feeling that you need certain foods like chocolate, pizza and fries. Emotional Hunger Causes Mindless Eating – This is when suddenly you realize that you have finished the whole container of ice cream or giant bag of chips. You don’t really pay attention to eating when you are fulfilling your emotional hunger. For physical hunger, you are generally aware of what you are doing. Emotional Hunger Isn’t Satisfied by Eating – even when you are full or don’t feel good, you still want to eat more with emotional hunger. For physical hunger, there is no need to be stuffed and you already feel satisfied when your stomach is full. 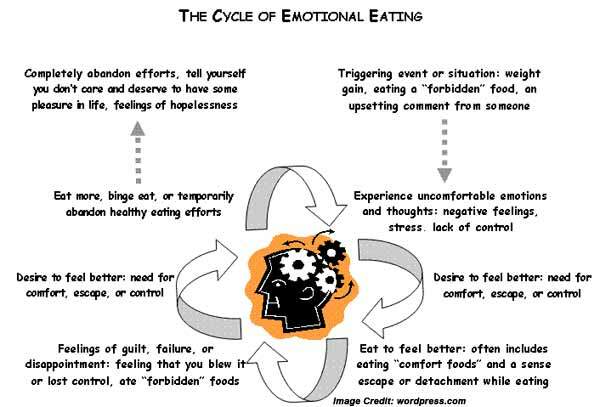 Emotional Hunger Usually Causes Guilt or Regret – after eating or bingeing because of emotional hunger, you usually feel ashamed of what you have done and there is a certain amount of regret. This is because you know that you didn’t really eat for nutritional purposes. Learn About Your Triggers: There are certain triggers for emotional eating like stress from work or relationship problems. Make a list of the causes of your emotional eating in the past and create a plan to control your situation. In severe cases, you may need professional intervention to effectively control emotional eating. Do Not Eat Immediately When You Have the Urge to Eat: Do not eat immediately when you feel like it. Observe if you are really hungry and if you really need to eat or just want to. If you are just bored or tired so you want to eat a chocolate bar then pause for a moment and ask yourself if you are really hungry or you are just trying to satisfy your emotional hunger. Become More Active: When you feel like eating because of emotional reasons, try moving around instead. You can do some push ups and sit ups or walk around the office. Simply replace your urge to eat with something else. Meditate and Practice Impulse Control: Be mindful of yourself and practice controlling your impulses. Meditating when you feel like eating will help you determine if you are really physically hungry or not. Eat food you are frequently craving for but practice impulse control. For instance, instead of eating a whole bar of chocolate, consume just half and eat the rest the next day. These little things will help build your impulse control. In the end, you can’t completely get rid of emotional eating. However, it should only be occasional like for big celebrations or other purposes. If you use it frequently and it puts you in danger of unhealthy consequences then you really need to find a way to stop it.